Today I visited my first ever pumpkin patch. Well, it was more like one of those 'pick your own' fruit and veg farm that are commonplace in the English countryside. It was lovely to wander around the fairly peaceful surroundings and get away from the hustle and bustle of city life, which I have seem to have grown accustomed to since moving to Hull. Although I also grew up in a city, my parents would often take drives out into the country on weekends and I never realise how much I miss it until I venture out of the concrete jungle. It was a beautiful day for photos. The sun was beaming down onto the fields, causing the pumpkins to glisten. You may think that driving out to a farm is a bit pointless when you can just nip to Sainsbury's and buy one, but it was a really great experience, a nice day out and most of all it helped a local farmer! 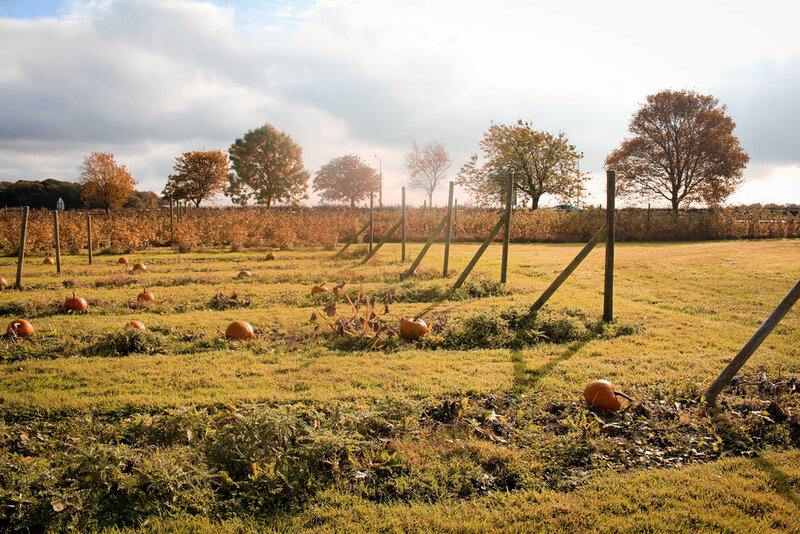 Why not have a Google to see if there's a pumpkin patch near you? And if you're local to me then be sure to check out The Fruit Yard at Shiptonthorpe. I'm already excited about going back in the summer to pick strawberries!